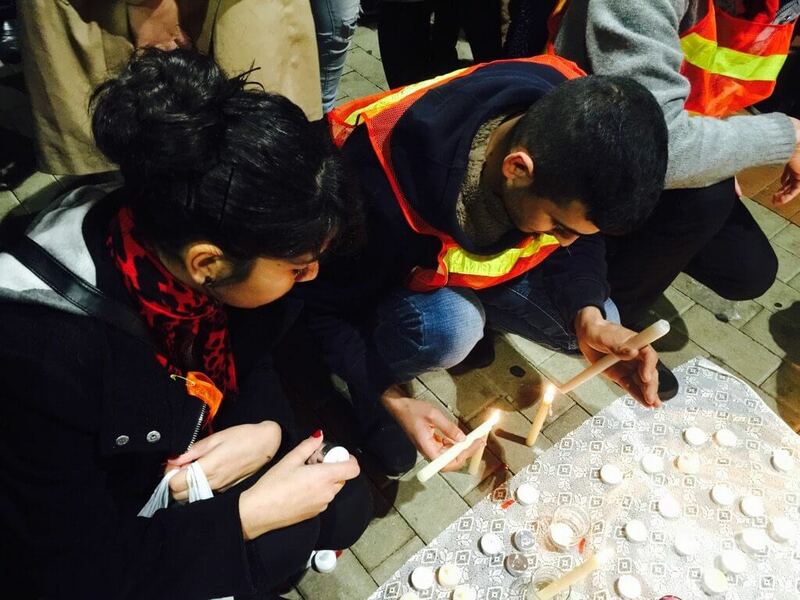 Iraqis in Sydney gathered yesterday to hold vigil for the innocent lives lost in the Baghdad attacks. Image: Sarah Yahya. You have just spent 20 hours fasting from food or water in 50 degree temperatures of Iraq’s summer heat. At this point, you probably think it couldn’t get worse. But a few days ago in the Karada shopping district in Baghdad, it did get worse. Iraqis of all religions came together in Sydney to mourn the innocents lost in this week’s Baghdad attacks. Image: Sarah Yahya. It is hard to convince people that it never used to be like this, and that this is all new and foreign to us. This minefield in not the Iraq we grew up to love. The magnitude of violence experienced all over the country did not exist prior to the invasion attack by the US and their allies. Yes, Saddam was a tyrant who slaughtered his own people at the meekest flicker of doubting their loyalty. We constantly lived in fear of the regime that was constantly watching us, the people, awaiting any treacherous slip that could give cause to effecting our disappearance. Given this, it was no surprise that Iraqis did rejoice the fall of Saddam and his regime when the US Army and its coalition took over Baghdad. But this is more likely because those rejoicing were not aware of what lay ahead. This invasion turned Iraq into a failed State. Necessary government structures collapsed, leaving the nation in absolute chaos. Its political and economic structures completely crumbled. There was vast infrastructural damage and, needless to say, hundreds of thousands of lives were lost. 13 years later, the country is slowly trying to get back on its feet, but the ongoing internal and external interference is making it impossible for the nation to stabilise and steadily function. It is not just the IS militants who are the perpetrators in this ordeal but those in governmental power who have once again failed to value and protect Iraqi lives. 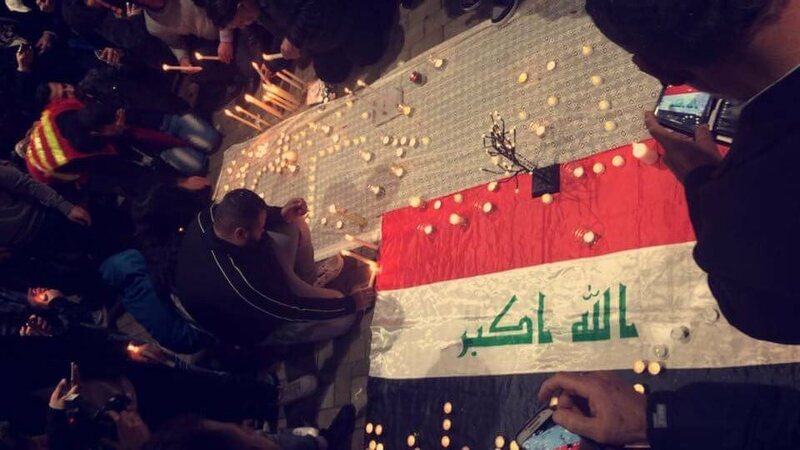 The bombings in Baghdad have affected all Iraqis, even those of us in the diaspora. This Eid in particular was not a joyful one. 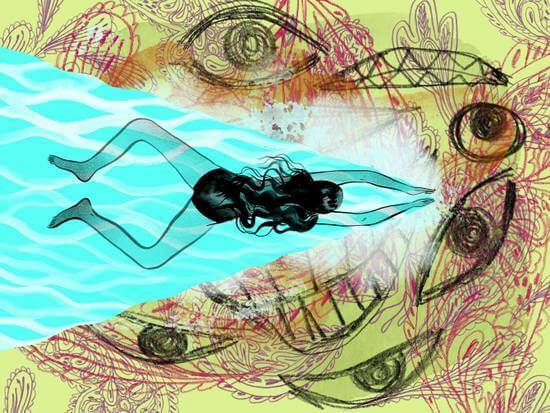 You could feel the grief in the air, long before we’re able to communicate our sadness. I keep wondering what the people who changed their profile pictures to the Paris flag have to say about this attack in Baghdad – that is, if they even know about it or care for it. Is the life of a Baghdadi, in the world’s eyes, not equal to the life of a Parisian? I also wonder if it was all worth it – the billions of dollars spent to supposedly bring us democracy and free us from dictatorship. I would much rather that they had stripped Iraq of its oil but left it politically stable, enabled and at peace, than that they plunder it of its richness then leave it completely incapacitated and unable to regain its footing for years to come. At least then, we could have returned to our homeland. At least then, when we waved a casual goodbye to our mothers, father, nephews, nieces, cousins, grandparents or neighbours as they stepped out to the supermarket, we would not need to secretly farewell them in our hearts and hold vigil at the doorstep, uncertain whether they would return from that simple, everyday errand. But how can we uproot an enemy we cannot identify? The chaos and violence that Iraq continues to face has roots in many pockets. Where and how do we begin? We may have lost Saddam, but we have gained a much stronger oppressor in our intangible enemy. Fadak is a law student and human rights advocate based in Melbourne. She aspires to work in human rights law and to write about it along the way. Fadak’s work is particularly driven by refugee issues in Australia and around the globe. She also has a passion for Middle Eastern feminism and politics.